Hong Leong Group’s charitable arm, the Hong Leong Foundation, yesterday announced that all 16 young Malaysians sponsored and funded by its skills development programme have graduated with a level 1 skills diploma in mechatronics studies. According to a media release, the graduates, aged 18 years old and above, were given the opportunity by the foundation to pursue the said Malaysian Meister Programme in mechatronics studies at the Penang Skills Development Centre for 28 months. The programme is recognised by the Malaysian Department of Skills Development and accredited by the Malaysia-German Chamber of Commerce and Industry. The scholarship offered by the foundation included course fee, room and boarding, and access to on-the-job training placements. 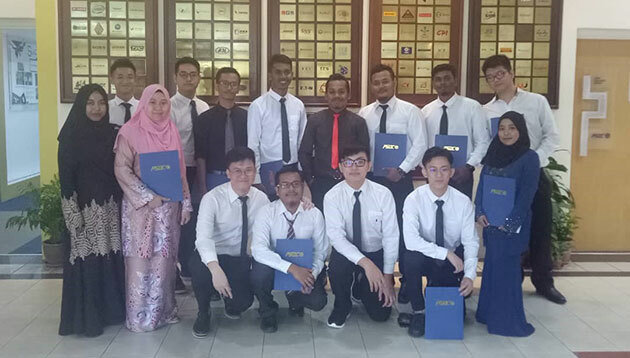 In addition, the 16 students gained work experience at participating Hong Leong Manufacturing Group of Companies which include Southern Steel, Dynacraft Industries and Carsem. She noted that the foundation recognises the need to help young people who may not have the opportunities to acquire the right knowledge and skills set for work. “Through this programme, we hope to give these young talents a stepping stone towards being competitively employable with the relevant skills. The Hong Leong Foundation’s skills development programme aims to provide financial aid and enrichment support to young Malaysians to equip them with vocational qualifications and skills-based studies so that they can be employable. If convicted, he is liable to a fine of up to $30,000 or to imprisonment for up to two years or to both per offence. ..
'The Donald's' latest stamp of authority has got the people of Chicago grabbing their torches and pitchforks. .. This practice of presenteeism – staying at work for longer than required to boost one’s own professional standing – is hurting wor..
BT, Hang Lung Properties, HKBN Group, Microsoft and Schneider Electric share special arrangements to help parents take care of the..